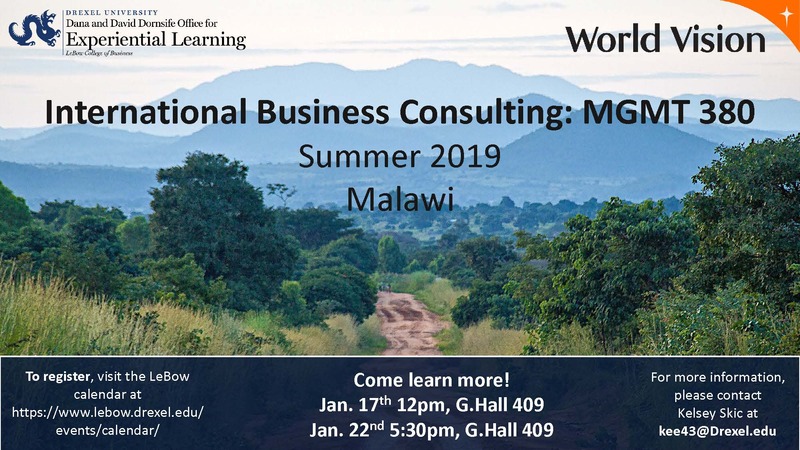 Tuesday, January 22, 5:30 – 6:30 p.m.
Join an information session to learn more about the next MGMT 380 International Consulting Residency Course in summer 2019. Students in this course will work on social impact consulting projects for World Vision International and travel to Malawi! This event is open to all undergraduate majors. 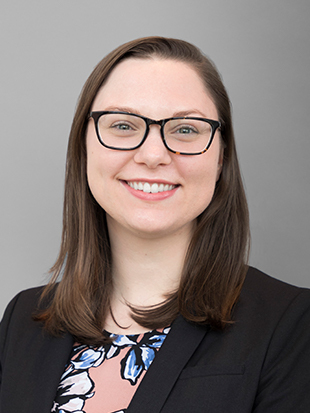 Kelsey joined LeBow in 2017 as the Program Coordinator in the Dornsife Office for Experiential Learning. Her main responsibilities include facilitating international residency experiences for undergraduate and graduate students. Kelsey received a B.A. in Spanish Studies from American University and an M.Ed. in Comparative International Education from Lehigh University.